Preventative care is the best way to give your pet a lifetime of health and happiness. During annual wellness exams, a veterinarian checks for healthy teeth, skin, heart, ears, joints, etc. and updates any necessary vaccines. Routine visits also give us the opportunity to get to know your pet and your family. We perform a wide variety of surgical procedures in our state-of-the-art surgical suite. We use the safest available anesthetics to provide that extra margin of safety, especially for our older or high-risk patients. We monitor surgical patients’ vital signs with the most modern equipment during all anesthetic procedures. Our dental services include teeth cleaning and polishing, dental x-rays, tooth extractions, and advanced oral surgery. Birds, reptiles, rabbits, ferrets, and pocket pets are all in good hands with Dr. Diana Chang, who has been practicing exotic pet medicine since 2005. Our Class IV Therapeutic Laser is a remarkably effective and versatile tool. Using low levels of light to increase circulation, it reduces inflammation, relieves pain, and promotes healing. Our Board Certified Internist offers in-hospital ultrasounds and echocardiograms. Our endoscopy equipment enables minimally-invasive diagnostics and treatments. Our digital x-ray equipment produces high-quality radiographs to aid in the diagnosis of many disorders. 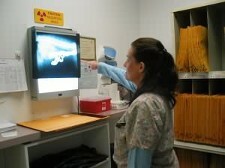 We can also email your companion’s x-rays to veterinary radiology specialists for consultation. Endoscopy and colonoscopy are non-invasive diagnostic procedures that let us examine the stomach and gastrointestinal tract. We use our endoscope, camera, and video screen to look for inflammation, swelling, and other abnormalities. We perform electrocardiograms (ECGs) and we can make referrals to cardiology specialists. We offer acupuncture and herbal medicines on premises. We offer aqua acupuncture, electro-acupuncture, and laser acupuncture! We perform serum chemistry, hematology, serology, urinalysis, and parasite testing in our in-house laboratory. We also utilize commercial veterinary laboratories for specialized diagnostics and consultations. We maintain a complete inventory of pharmaceuticals, flea and tick control products, heartworm preventatives, vitamins and supplements, shampoos, and dental treatments in our pharmacy. Refill a prescription through your Pet Portal or by phone—we usually have refills ready within one working day. We encourage our clients to microchip their pets for safety, security, and peace of mind. 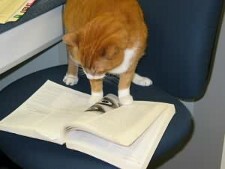 We use Avid PETtrac™ equipment and their national registry. We also issue complimentary identification cards for pets who have had their annual wellness exam and are up-to-date on all vaccines. Our USDA Accredited Veterinarians are licensed to issue health certificates that require APHIS endorsement for pets traveling internationally. We provide guidance regarding your pet’s nutritional needs for each life stage, including dietary requirements for growth, weight management, performance, as well as dietary sensitivities. We offer advice about correcting behaviors like aggression, chewing, digging, excessive barking, house soiling, jumping, scratching, and spraying. We offer boarding and “special care” boarding services to our clients. All boarders receive personal attention from our caring staff. Pets may be dropped off and picked up during regular business hours. Routine and therapeutic bathing services, as well as nail clipping, are available to our clients. Please call our main telephone number for instructions for emergencies after hours.